Solo: A Star Wars Story is flying into theaters on May 25. It’s the latest film from Rush director Ron Howard, and more importantly the second Star Wars spinoff movie. Spoiler: Solo focuses on a young Han Solo, played by Alden Ehrenreich, as he grows into the smuggler we know and love in the original Star Wars trilogy. Because we know this character so well, the film has some big challenges as a Star Wars prequel. It has to adhere to existing stories and mythology, to avoid creating contradictions in the existing timeline. At the same time, it has to innovate and show audiences something new. 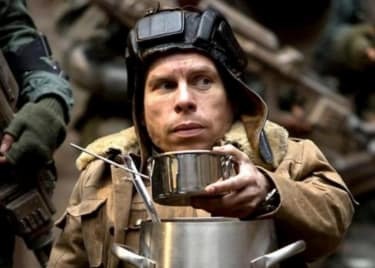 The good news is that Ron Howard and crew were up to the task. Solo: A Star Wars Story isn’t the typical Star Wars adventure. In fact, while it revolves around a couple of very familiar characters, the film also has the right components to offer an exciting new perspective on the galaxy far, far away. A few elements have defined Star Wars over the years. The franchise is commonly associated with the Force, the Jedi, and of course, the never-ending conflict between light and dark. These fantastical elements have shaped Star Wars since its inception. One corner of the franchise has often been overlooked, however, even though a few characters have spoken of it: the underworld. While Han Solo was introduced in a “wretched hive of scum and villany,” the seedy side of the space saga hasn’t really been explored on the big screen. 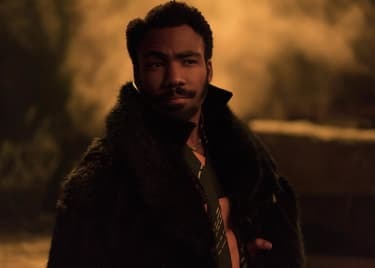 In Solo, Ron Howard gives audiences an insight into that side of the universe. 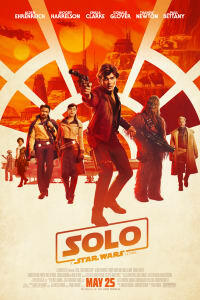 The film shows how Han Solo came to be in a world filled with criminals and space rogues – and how difficult escaping that life can be when gangsters have a galactic reach. The Star Wars universe that we see in Solo is different from anything else that we’ve seen in any previous Star Wars movies. The Empire controls everything. Everyone is struggling to survive. We know the Empire is evil. We’re aware of the Jedi Order’s constant struggle to end that reign of terror. But what’s it like to live under that larger-than-life conflict? Solo answers that question. The movie shows how everyday people without Force powers or lightsabers survive under the tyrannic rule of the Empire. That’s a fascinating thing to explore. 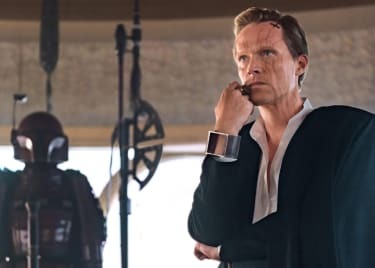 Despite the inherent limitations that come with a prequel (especially one set in a franchise as well-known as Star Wars) the creators made sure that Solo offered a unique perspective. Star Wars has been thriving. The latest installments in the saga, The Force Awakens, Rogue One and The Last Jedi, have all been critically and financially successful. Disney naturally has big plans for Star Wars moving forward, and Solo could be a key player in the future of the franchise. Regardless of how successful a series is, there’s always room to evolve and explore ideas that audiences haven’t seen before. Yes, the larger-than-life elements of Star Wars are fascinating. That said, there’s much more in this galaxy than the light side vs. dark side conflict. Solo: A Star Wars Story is a perfect example. Like the previous spinoff, Rogue One, this film has the opportunity to open up the franchise to new types of grounded storylines. The Star Wars underworld is vast and Solo introduces new characters and ideas that begin exploring its potential. Han Solo’s standalone adventure could encourage a deeper exploration of the seedier side of the Star Wars galaxy in the future. Star Wars is an open book with infinite storytelling possibilities. Presenting a different side of the universe every now and then with movies like Solo will allow the franchise to thrive and stay fresh in the minds of audiences for years to come.